Stucco is a durable and economical building material that adds texture and dimensionality to interior and exterior walls. When it's in good shape, it can look great, but without regular maintenance and proper treatment, it can crack, chip and scar. Often stucco isn't painted when it's first applied. After curing and a few years of wear, it can usually be revitalized with a coat of paint. If you take the time to do some important prep and use the right paint, painting stucco can be easy and rewarding. Before painting stucco walls, repair any cracks, chips or noticeable scars. Evaluate imperfections carefully. Large cracks can mean structural problems, so have your home evaluated by a professional if you see movement cracks over one quarter inch wide, particularly around foundations, doorways and windows. Don't try filling them yourself.Fill small cracks of around an eighth of an inch or less with an elastometric (rubber) sealant. For tiny cracks, about the thickness of a fingernail, the right paint will probably be able to fill them without patching. 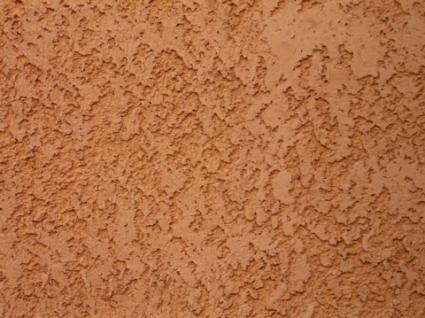 Use patching compound designed for use with stucco, and pay attention to the humidity and temperature recommendations. Patches cure best when the temperature isn't too hot or cold. Low humidity can be a problem too. If the air is dry, the compound will firm up too quickly and is more likely to crack or contract. An overcast, fall or spring day is usually perfect, but even if that isn't possible, you can help nature along by covering patches with a damp rag when the conditions are too dry and postpone the job until the evening hours if you think high temperatures are going to be a problem. Older stucco can become unstable, particularly around cracks and foundations. Ready the area you're going to patch by brushing it with a soft bristle brush to remove all deteriorated and powdery stucco nearby. You'll be able to get a more professional finish if you clean stucco thoroughly with a mild detergent before painting. You can use a commercial cleaner or dishwashing liquid and water. Go over the area lightly with a soft bristle brush or sponge, and rinse the soap off completely before it's had a chance to dry in place. If you're working outdoors, you can use the hose and a pressure attachment, but be careful to leave it on a light setting. The older the stucco is, the more fragile it's likely to be. For newer stucco, you may be able to employ a pressure washer, but always use the lightest setting first and work from there. Let the walls dry thoroughly overnight.Pull all shrubbery away from exterior walls and clean the area of loose debris that might blow back onto the wet paint. This is also the time to cover light fixtures and tape off moldings. Before painting stucco, check all patches to make sure that they've cured and are stable. Check the walls for moisture too. Choose an acrylic latex or elastometric paint for stucco surfaces. If your stucco has never been painted before, it will need to be prepped with a primer coat. Always select a primer that will work in concert with the paint you'll be using. Check the side panel of the paint for recommendations. Use a roller cover rated for heavy coverage. It will probably be thick and furry. This will carry paint into the depressions in the stucco without a lot of extra work on your part. You will probably have to apply a couple of coats of paint. To get the most out of each pass, change the direction of the roller on the second coat. Repairing your home's stucco will improve its appeal, as well as its value. Whether you're thinking about selling your house or you just want to perform some routine maintenance, painting your stucco is a good investment of your time that will pay off in the long run.